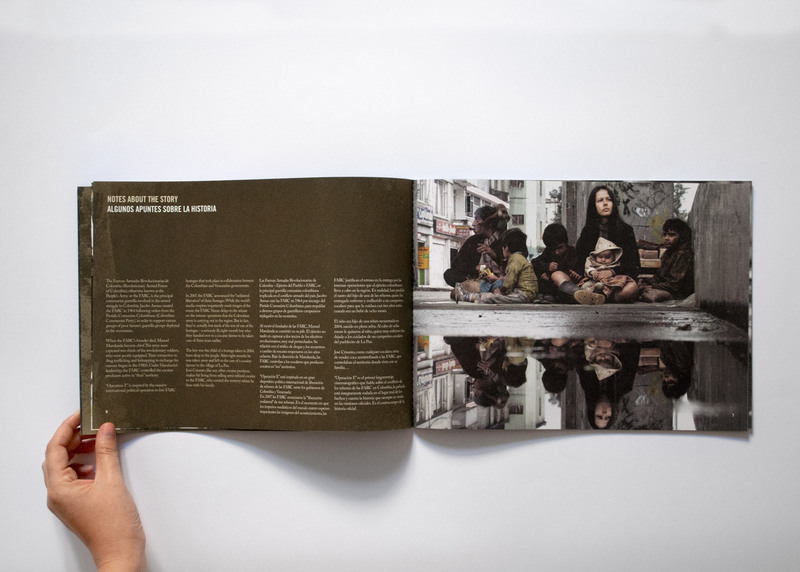 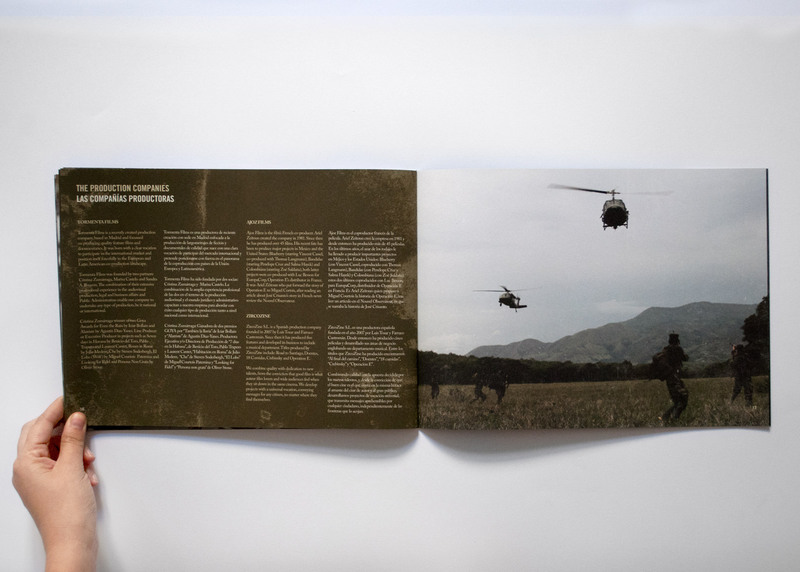 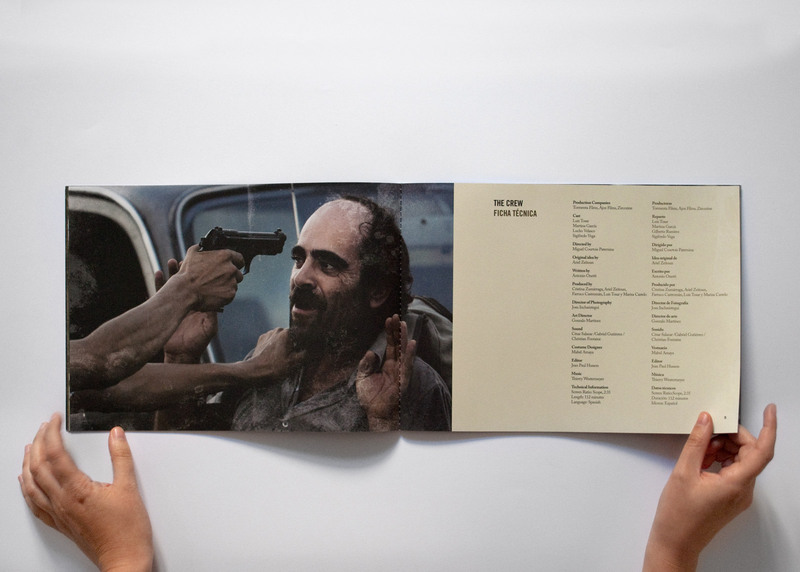 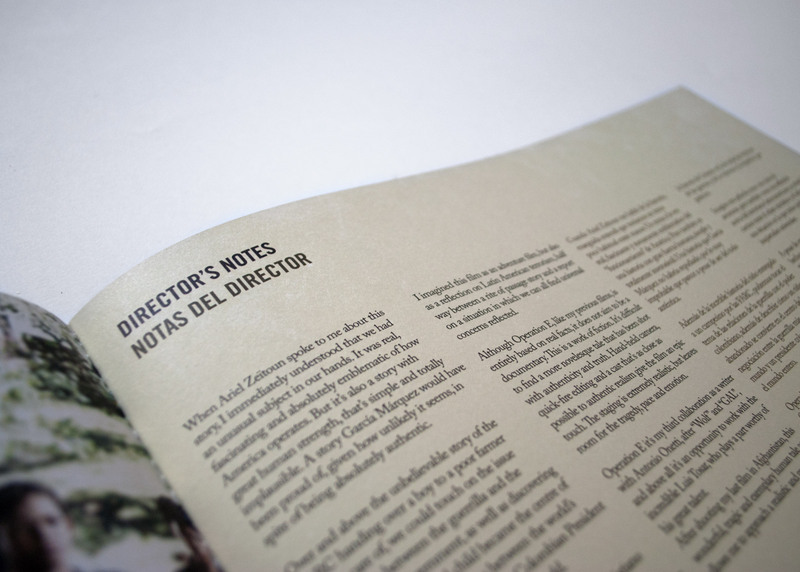 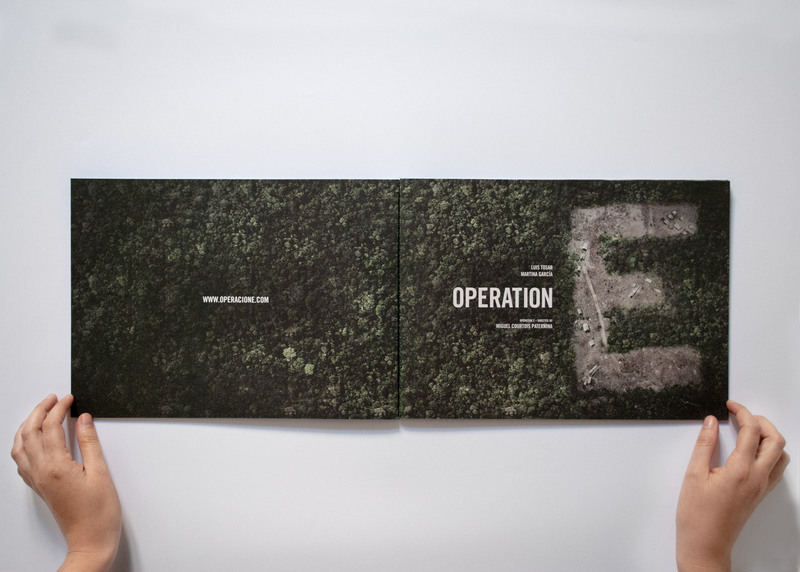 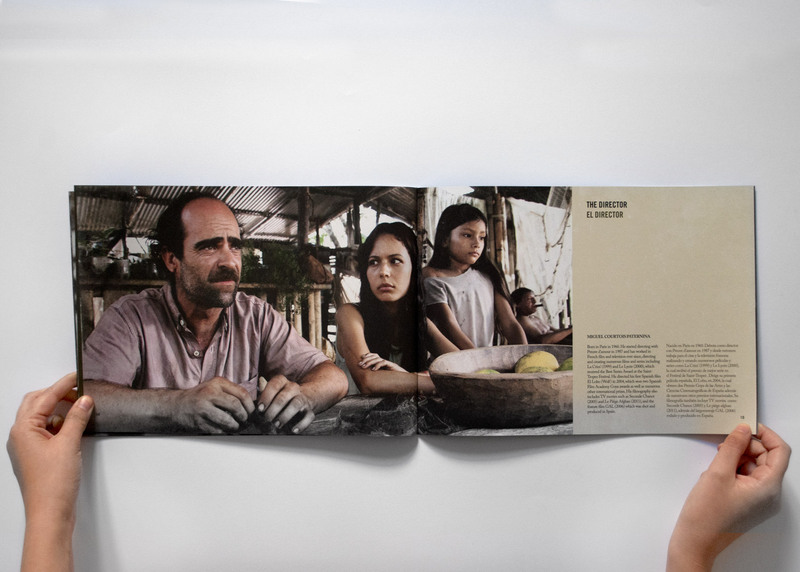 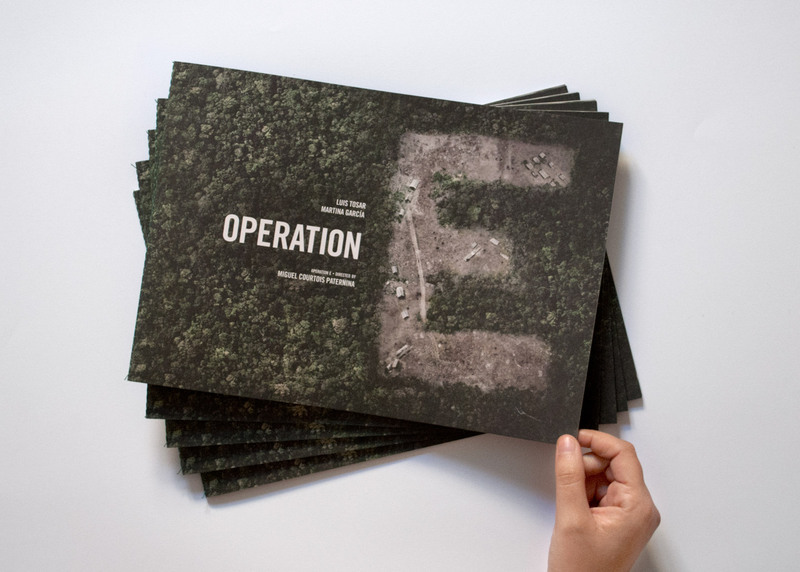 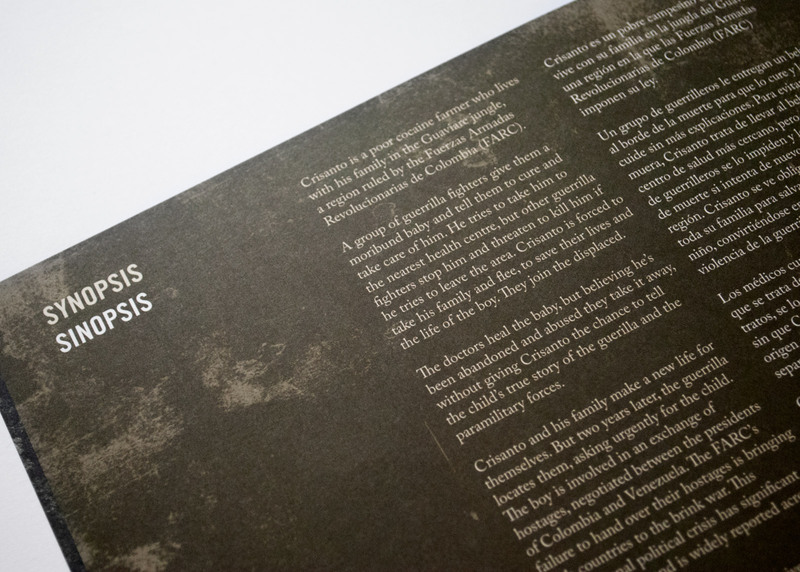 Sales book design for ‘Operation E,’ a film by Miguel Courtois starring Luis Tosar and Martina García. 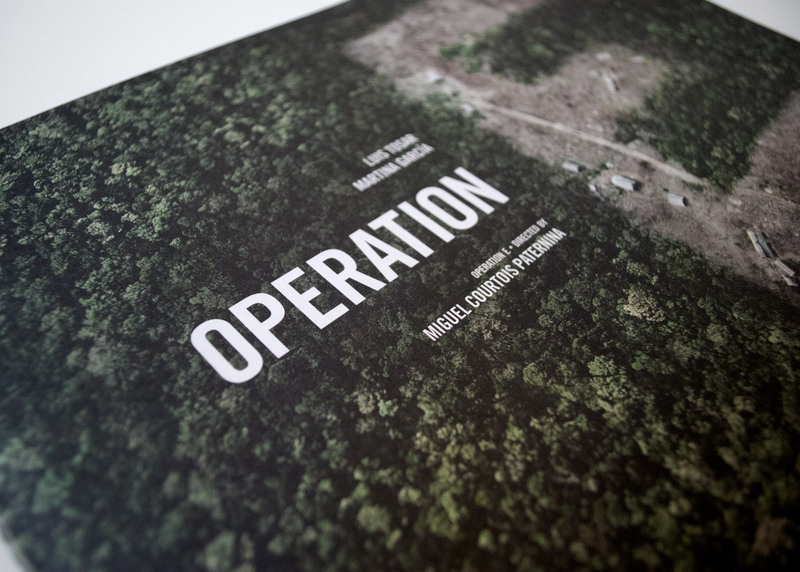 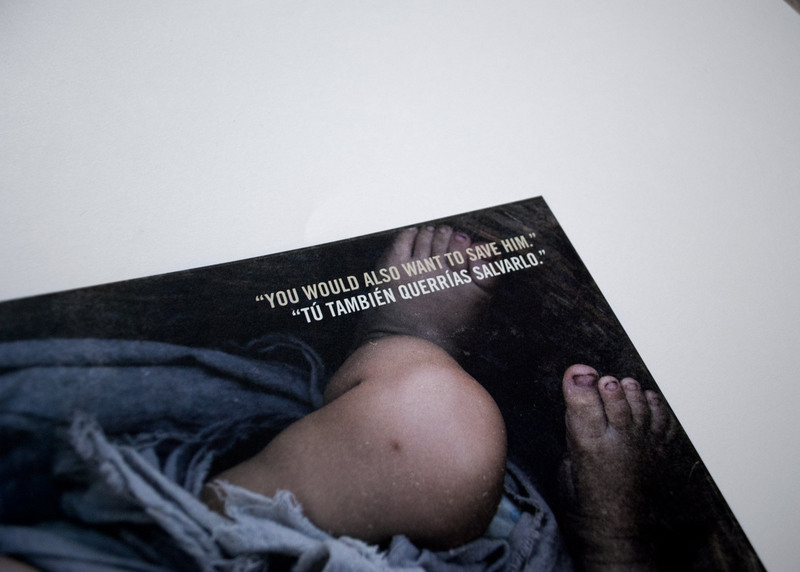 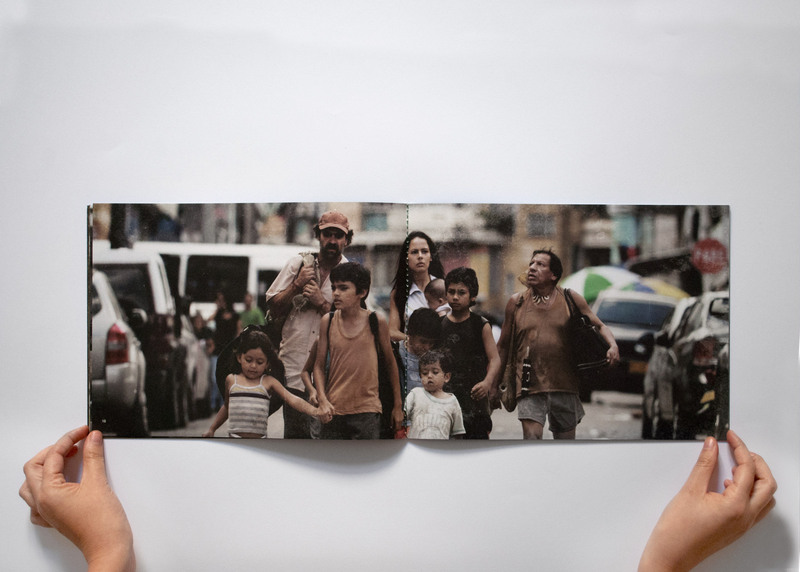 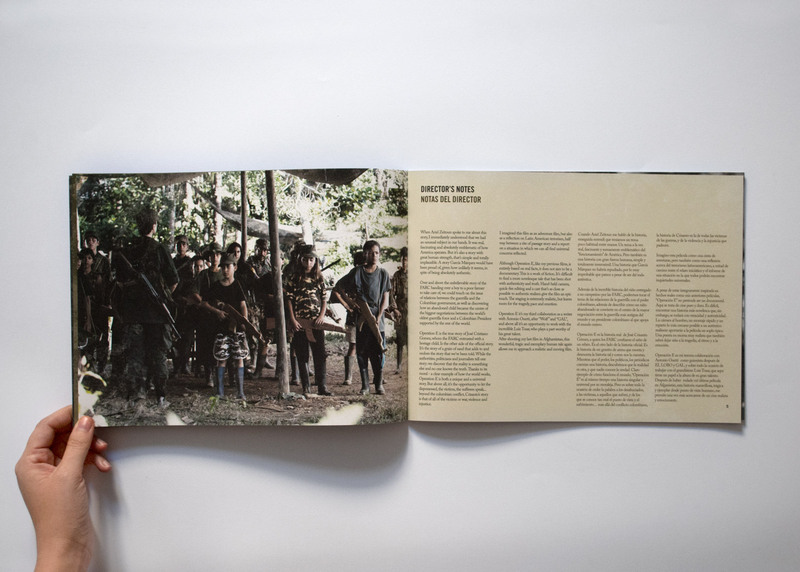 The film is inspired by the real events of the FARC conflict in Colombia. 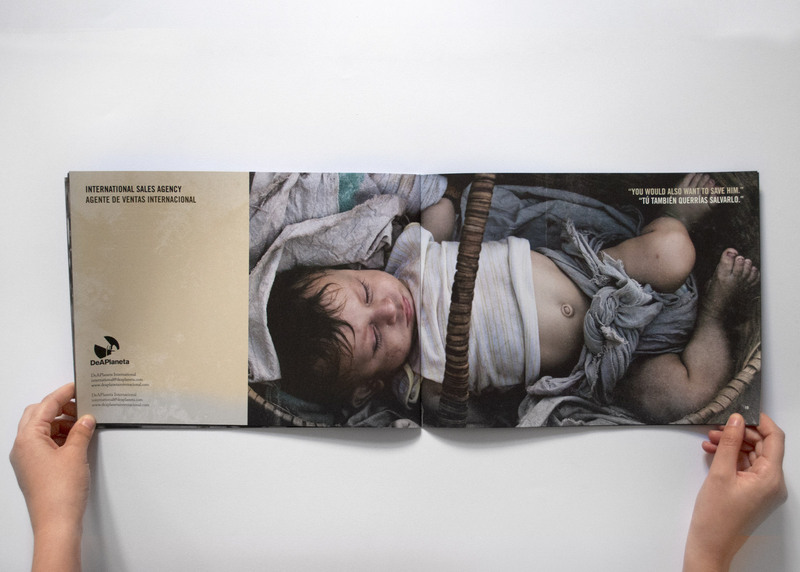 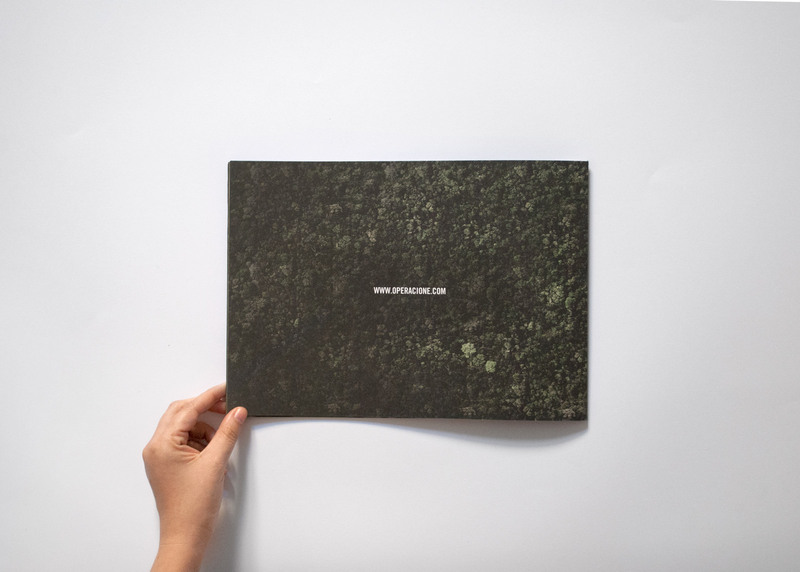 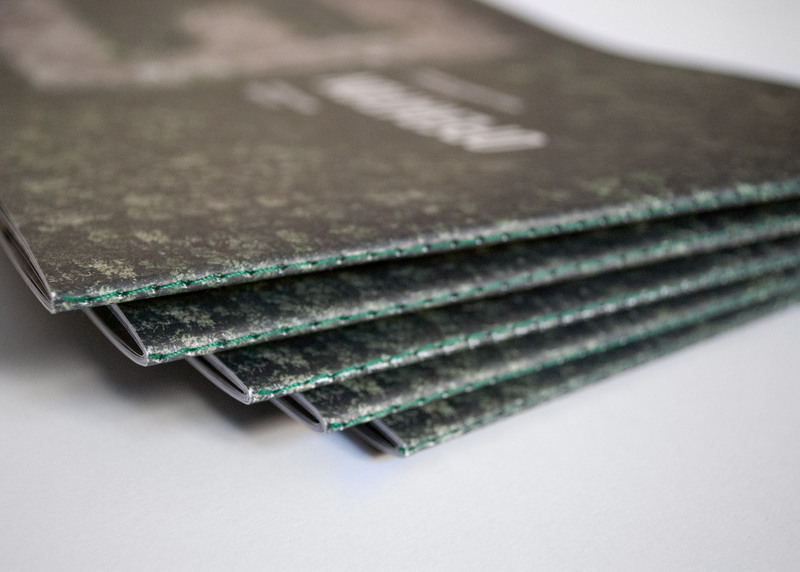 We used an offset paper and bound it with green thread to give it a natural finish. 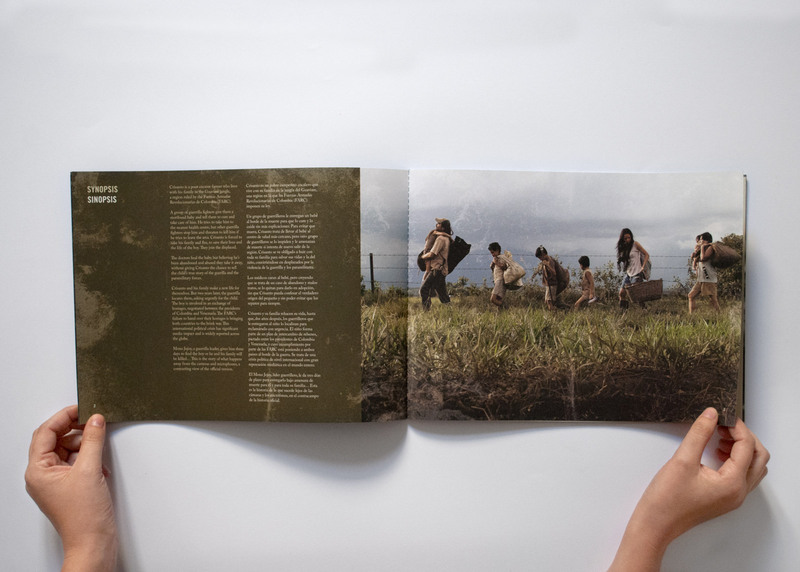 The landscape format helps you to see the photographs at the larger size.